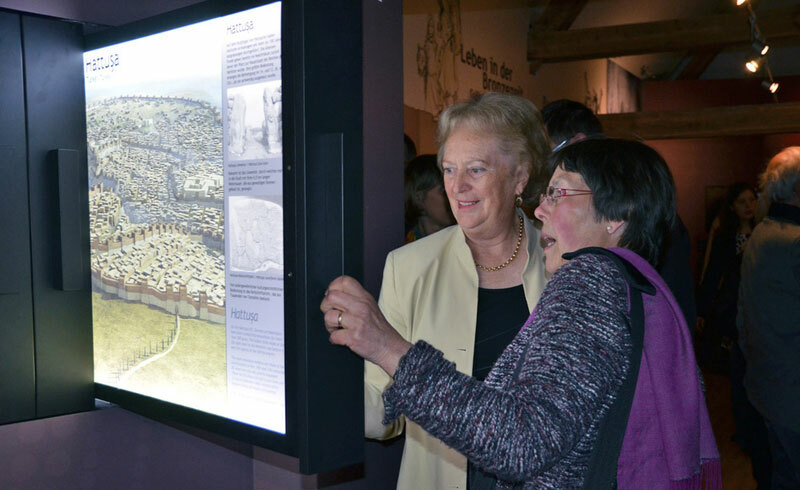 The “Bronze Age Bavaria Museum” in Kranzberg is now open! Sponsorship also includes AUDI AG, the Bayerische Sparkassenstiftung and the Landesstelle für Nichtstaatliche Museen as well as numerous other sponsors. In Kranzberg near Freising a relatively small but very modern Bronze Age Museum just opened its doors. 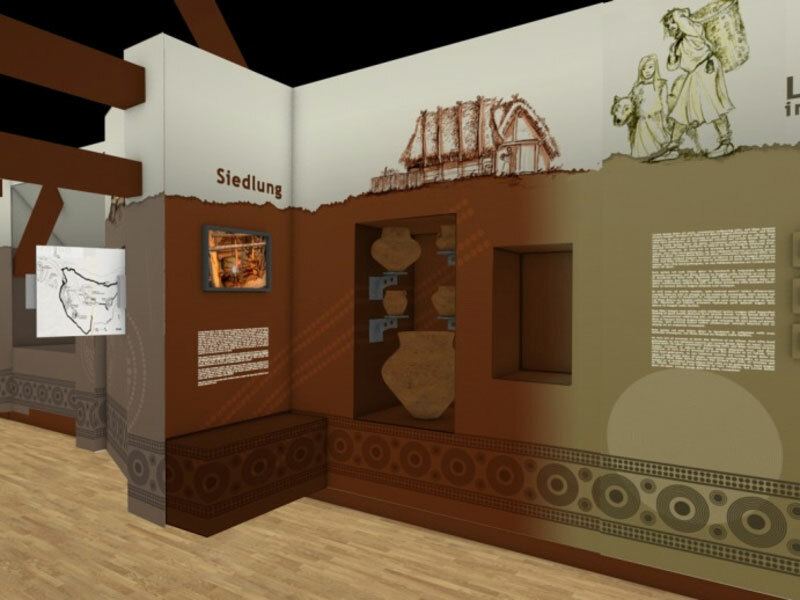 The ArcTron team was responsible for handling all production steps – form the museum concept, design and furnishing with 3D technologies to generating all content incl. interactive multimedia. 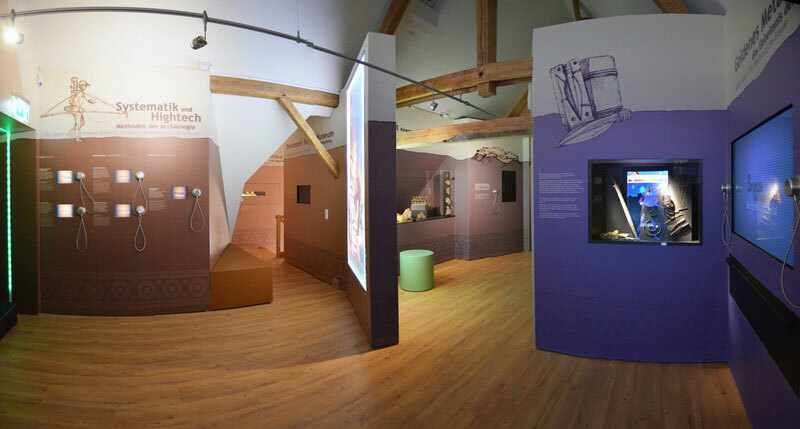 Visitors can experience the Bronze Age while interacting with a variety of exhibits and media. 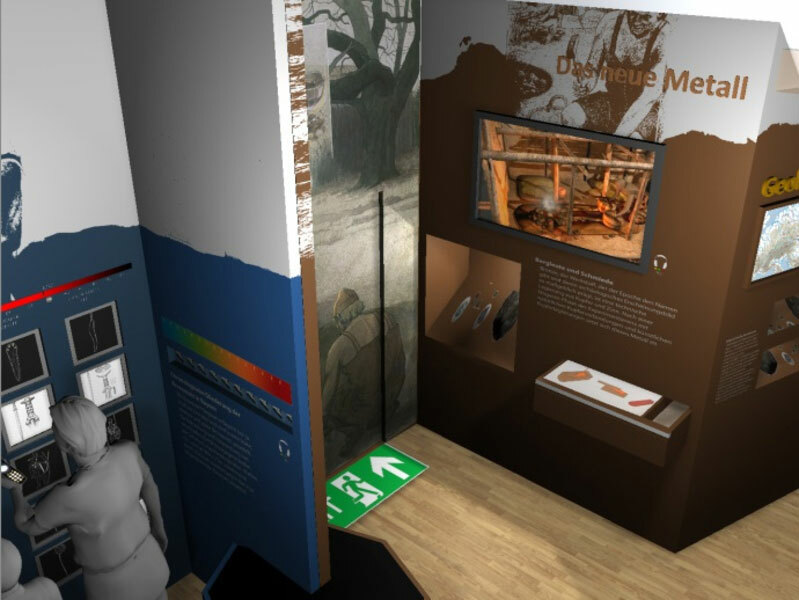 This fresh encounter with history leaves students up to the elderly enthusiastic, enabling them to gain an enriching experience visiting this museum. 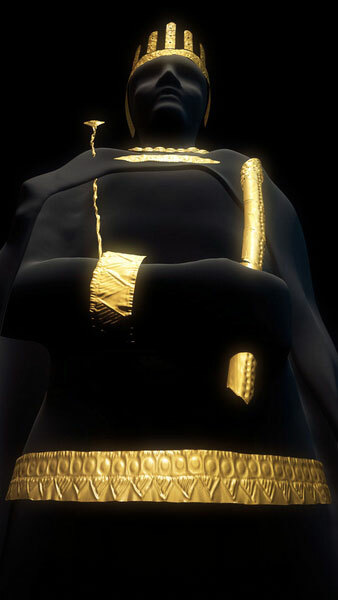 Besides the media technology also replicas made from previously 3D scanned originals play a major role, since only a few originals are on display. The precious originals (gold and amber finds) can be seen in the Bavarian State Archaeological Collection (Archäologische Staatssammlung) in Munich. 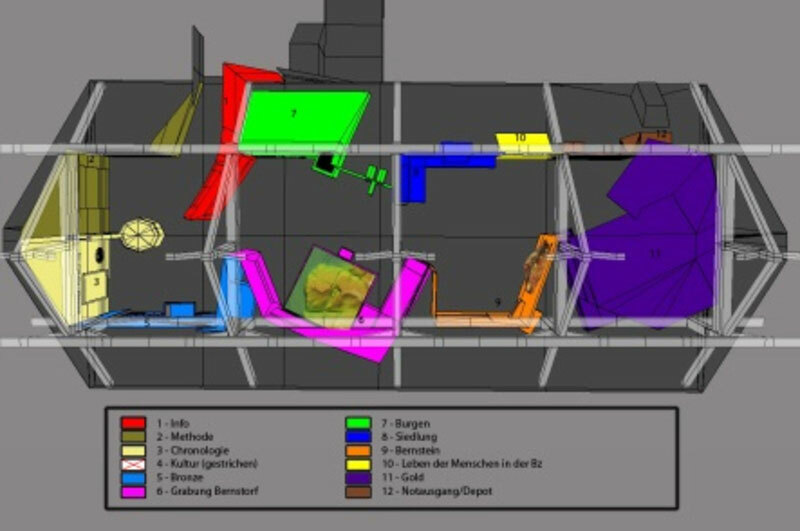 The ArcTron team began drafting the interior of the museum back in 2007. 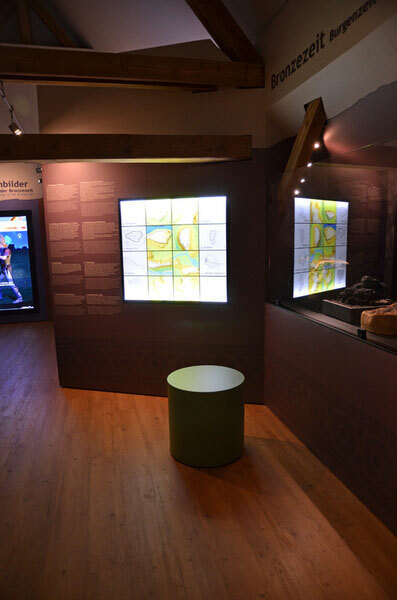 The long and narrow shaped loft, which accommodates the museum today, was first virtually transformed into an attractive and modern exhibition space. More content, ideas and new media have been incorporated into this design to convey vividly and resourceful the fascination of the Bronze Age. Dr. Karl Heinz Rieder was in charge of excavations on the fortress hill in Bernstorf back when he was still committed to the Bavarian State Office of Heritage Conservation. For the current museums project he took over the responsibility of the archaeological content. The tour through the museum begins with a 3D cinema. 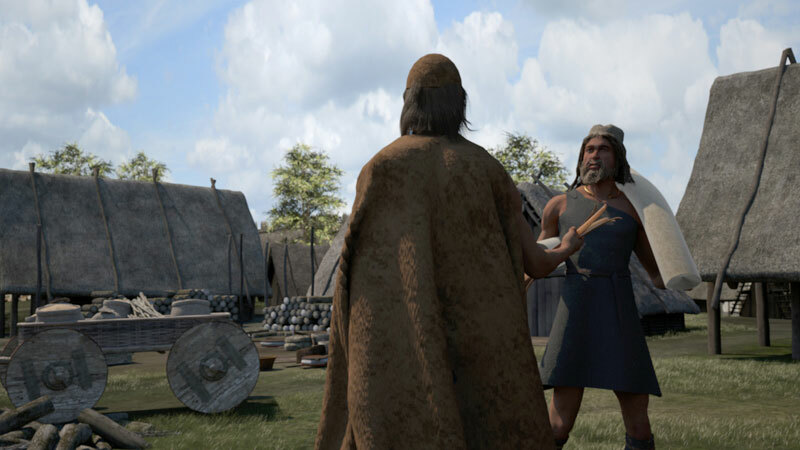 Wearing 3D glasses, the viewers can experience firsthand the history and significance of this Bronze Age settlement. 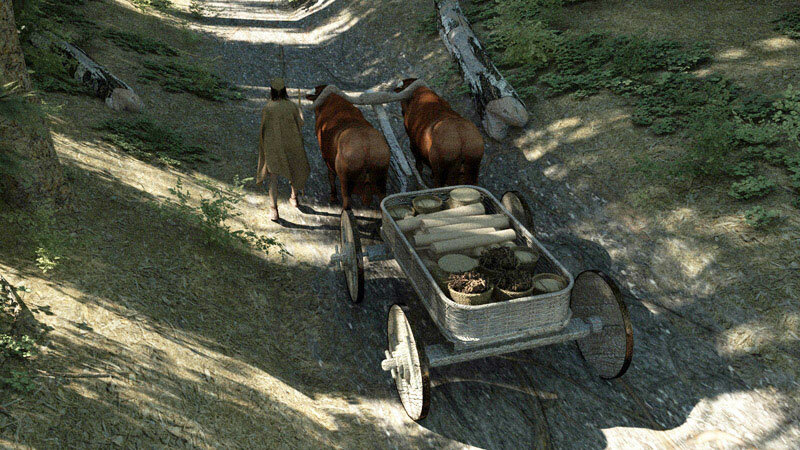 The 3D documentary starts with the rediscovery of the settlement of Bernstorfer up until the discovery of the amber and gold finds (by Dr. Manfred Moosauer and Traudl Bachmaier). 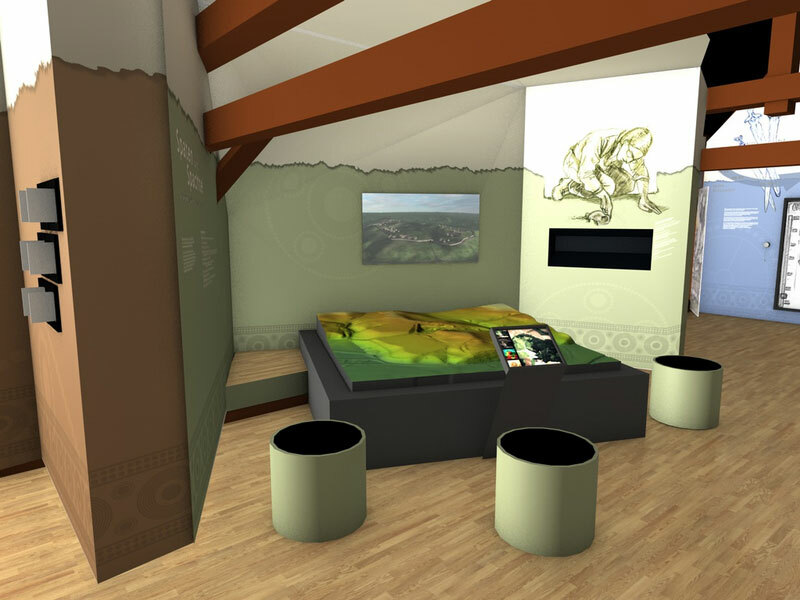 The 3D film also includes digital reconstructions and archaeological backgrounds to help the viewer to better understand the exhibition and its content. A flight of steps leads us to the top floor – the exhibition hall of the museum. 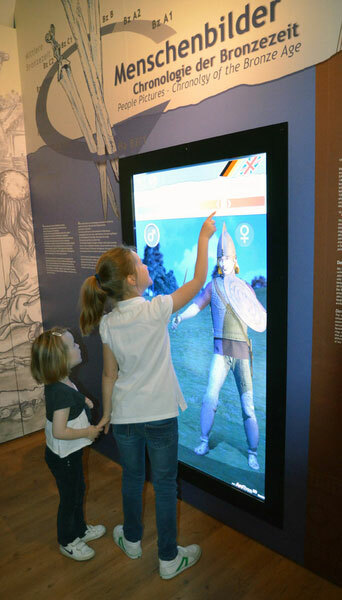 There, visitors can encounter the various phases of the Bronze Age on large touch screens, 3D monitors and interactive elements. 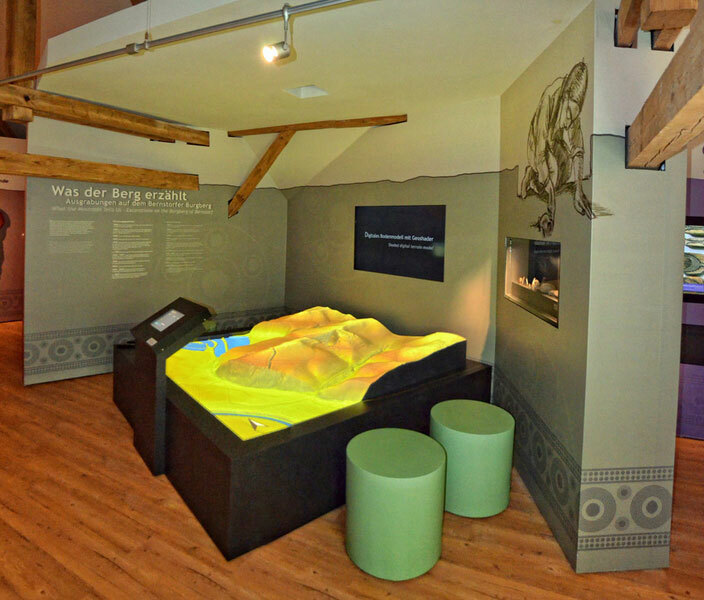 In the center of the room stands the centerpiece of the exhibition – an interactive terrain model of Bernstorf. On this opal-white model, information is being projected in magnificent color controlled by a touch panel. 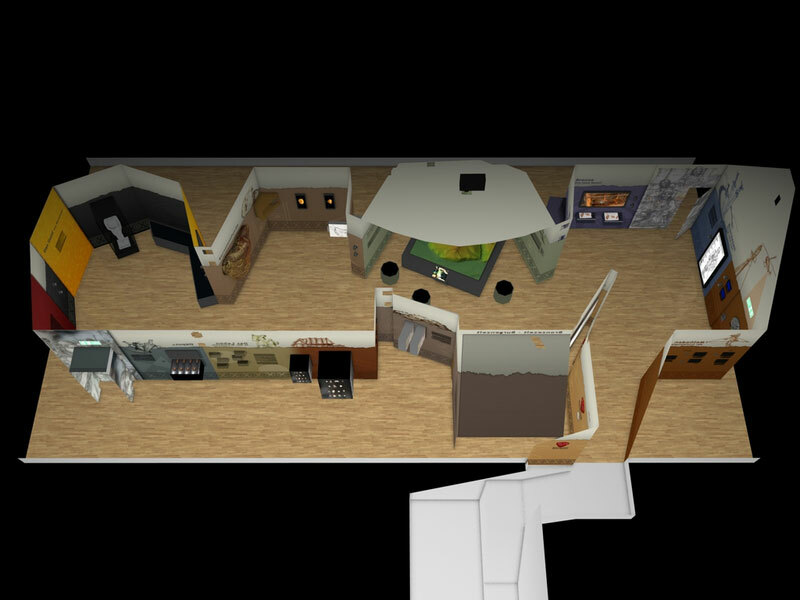 Additional information about what can be seen on the landscape model is being displayed on a monitor on the wall. Continuing through the exhibition hall, past original finds and replicas of various eras of the Bronze Age, visitors arrive at the most remarkable finds – the amber face, the amber seal and the gold jewelry with crown tiara. According to archaeological research results these are applied to an almost life-sized cult figure. 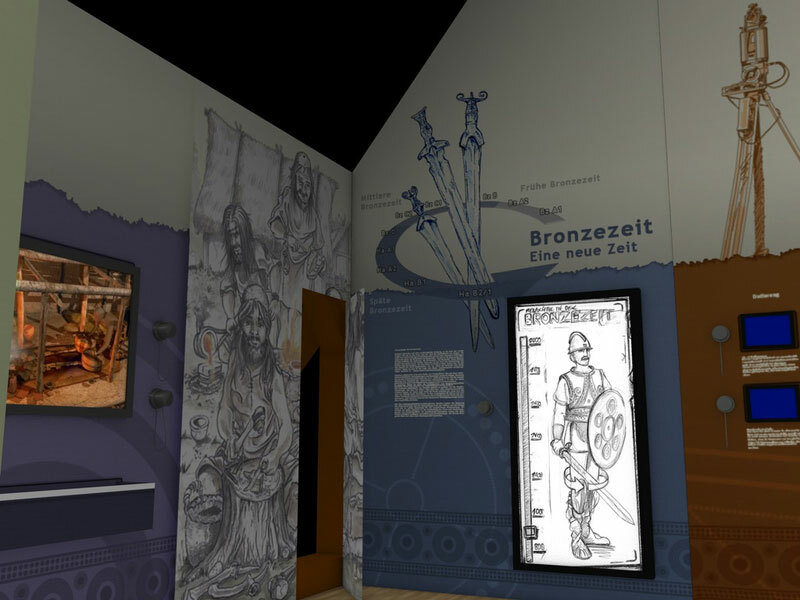 The many details and the vibrant design reflect the passion of all the people involved in this museum project – the initiators (especially Dr. Manfred Moosauer and Mr Alfons Berger – the client, partners and the entire ArcTron 3D team. During the planning phase many ideas, desires and creative visions have been adapted to the budget. 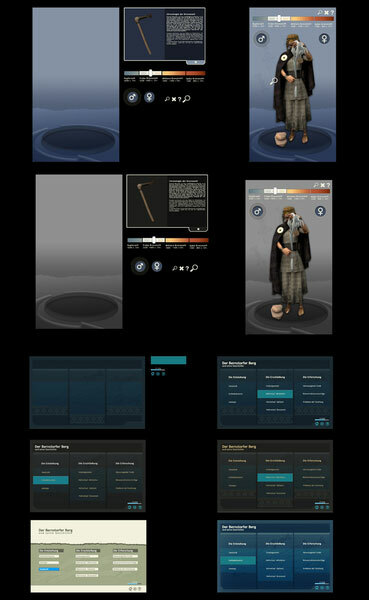 Reconstructions and animations are shown on different media platforms. 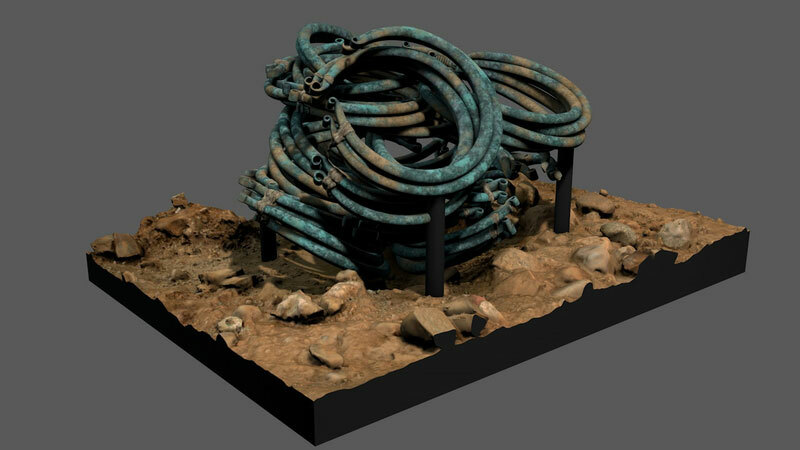 Digital 3D models illustrate objects in their environment where they have original been found. 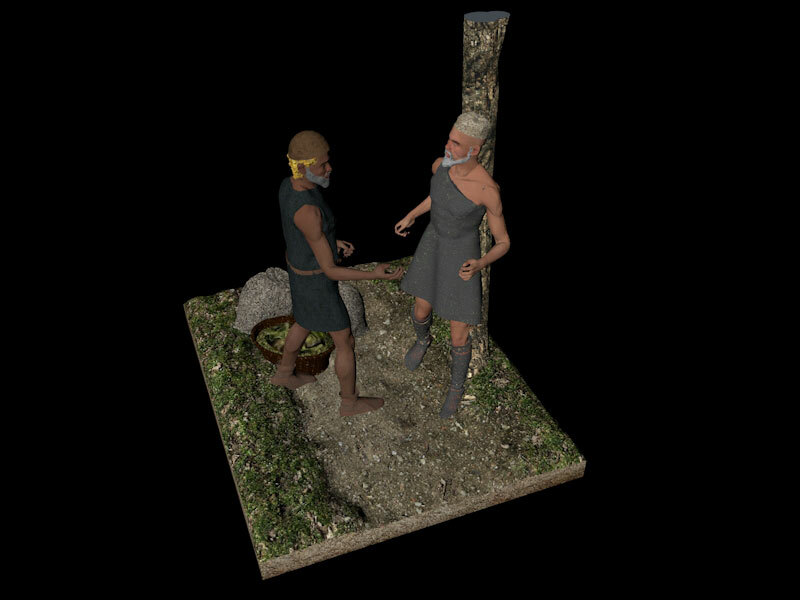 Others are being integrated in re-enacted scenes. Many coordination- and adaptation phases lie behind us and now it’s accomplished. 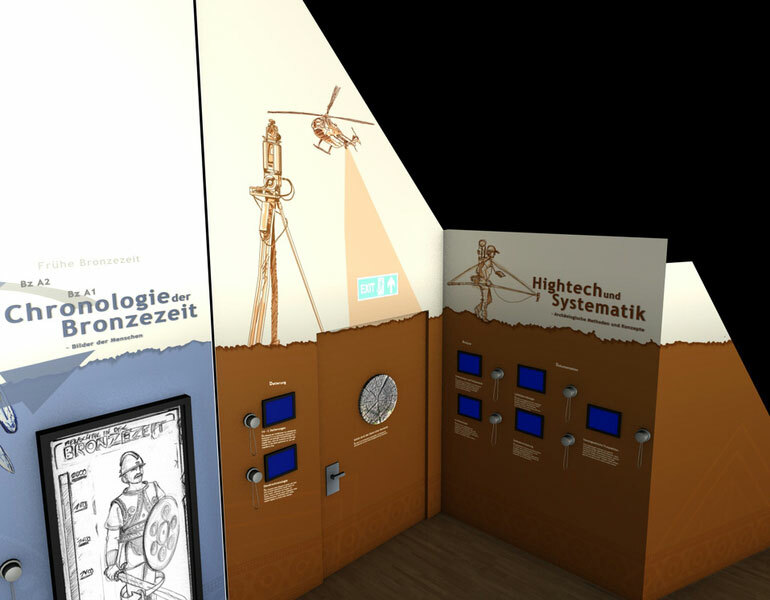 The Bronze Age Museum Kranzberg is small but up to date – with traditional and high-tech content to experience and touch.